Your Best Day at the Range Starts Here. 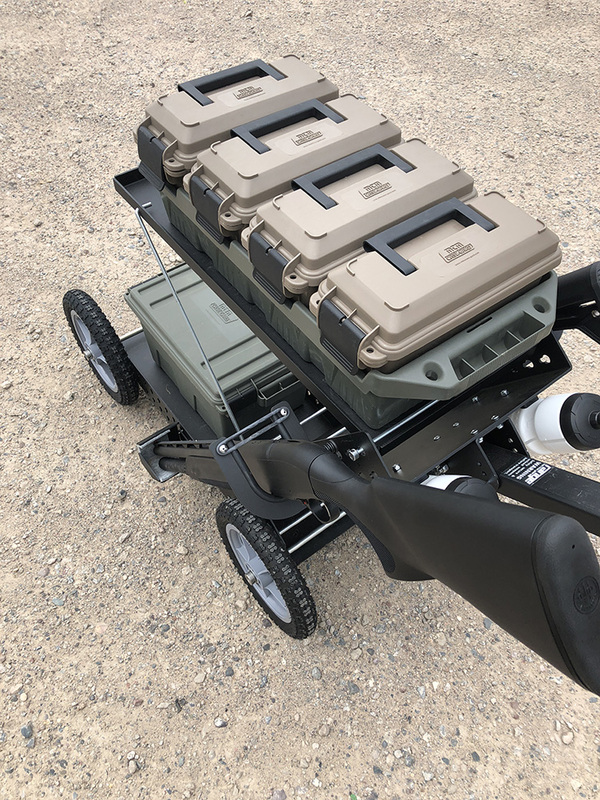 Protect and transport all of your range gear easily and securely. 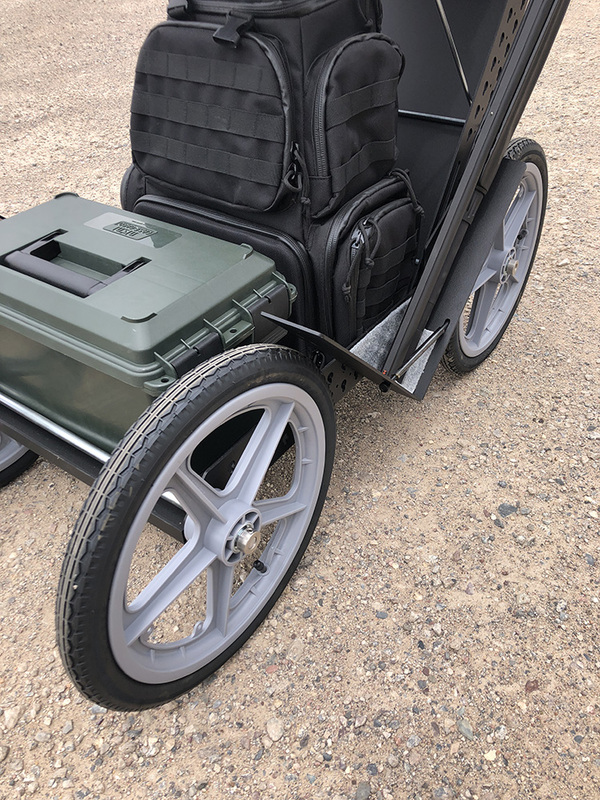 The original RangeRunner comes standard with a 12″ wide base and is pre-loaded with 2 gun brackets and 12″ pneumatic wheels. The XL is a great upgrade package with a 16″ wide base. 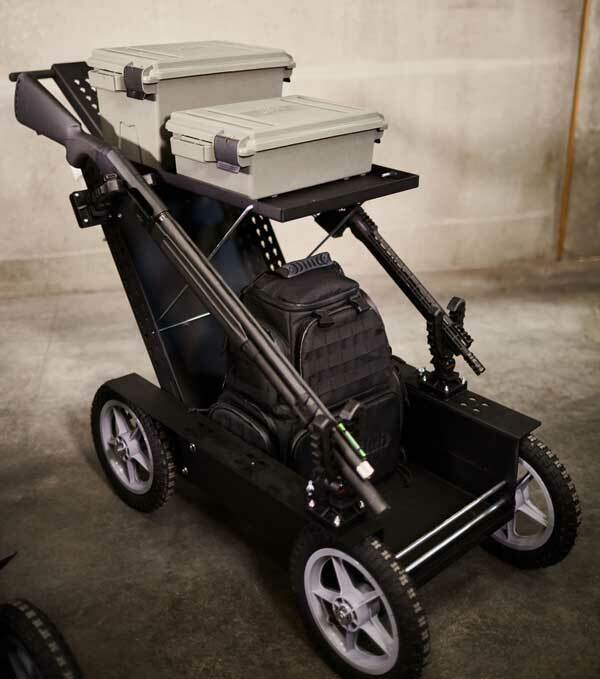 It also comes pre-loaded with 2 gun brackets, a utility shelf and 12″ pneumatic wheels. Go anywhere. Do it all. 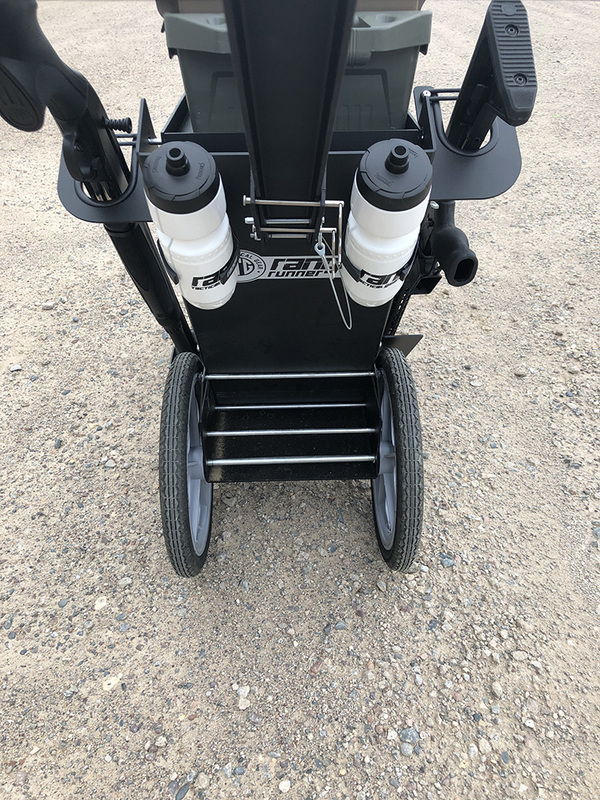 The Pro comes standard with an 18″ base, 2 gun brackets, 12″ pneumatic wheels, utility shelf and water bottles. Design a RangeRunner just for you and your gear. 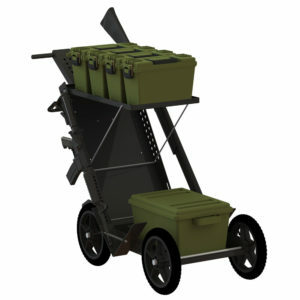 You select the base size, wheels, gun brackets and accessories to create a cart all your own. You deserve more than a modified stroller. We have the solution. Terrain varies from day to day. We have wheels for any range. Keep your gear and ammo easily in reach. Stay cool while your packing heat. Brackets for barrels, brass and yes…even your beverages. Easily transport and safely secure everything you need for the range. Your Next Day at the Range Can Be Your Best! 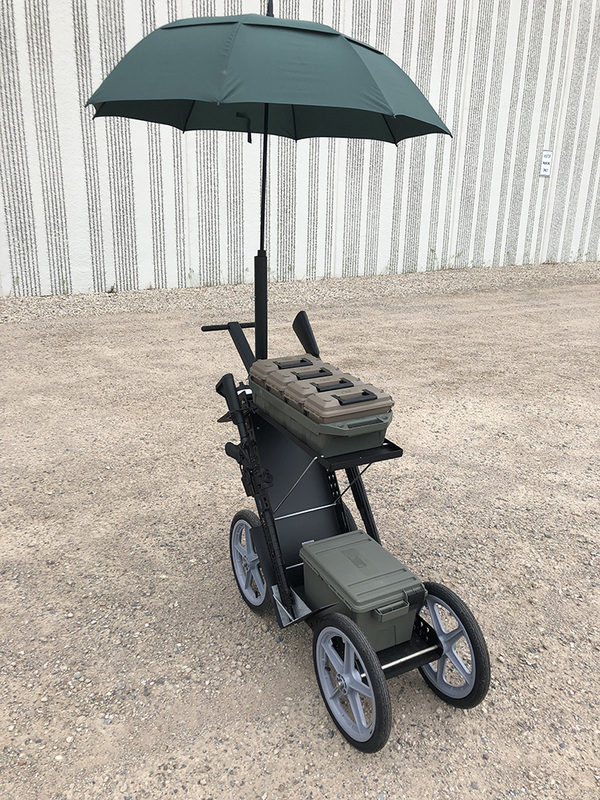 Choose one of our pre-built RangeRunner Gun Carts and add some great accessories from the RTG shop. 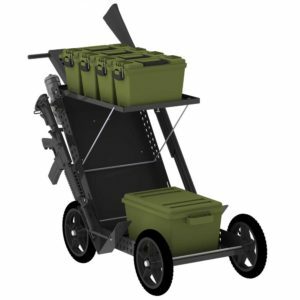 You select the base size, wheels, bracket and accessories to create a cart all your own. Aiming for deals, discounts and details on new products designs? Awesome! Check your inbox and verify your email to make sure you get the latest deals.